Thoughts on #YesWeCode Initiative by Lecroy Rhyanes, Jr.
My name is Lecroy Rhyanes, Jr., 1/3 of the family of brothers that contribute to the Ever1Plays site. The oldest of the three I maintain web updates and lead social media and other digital media including some of the videos created and posted on our YouTube. I graduated from New Mexico State University in 2008 and in 2011 joined the Criminal Justice Department at NMSU to teach courses online that focused on subjects related to creative expression and juvenile detention. Most recently, a former student named Bridgette sent me a website through LinkedIn about the #YesWeCode initiative. On November 29th, I started listening to a few YouTube videos about the group, including a video conversation with founder Van Jones and others involved with #YesWeCode. This was my first attempt to understand what the group was about. When I glanced at the site and thought about the #YesWeCode message, it resonated with me because of how I got into college thanks to my high school Spanish teacher, mentors, and family. At the start of my senior year at Andress High, my Spanish teacher made an announcement about a program she was helping to start up after school. 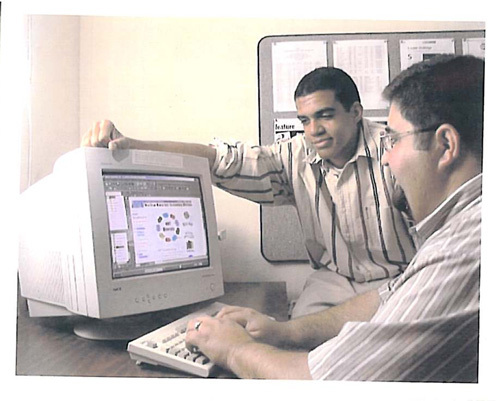 It involved getting high school juniors and seniors together with college students & faculty from NMSU to work on a research project using computers. In 1999, I was barely learning how to turn a computer on so I don’t remember being very receptive to the invitation. I don’t remember anyone else in my class being receptive either. At the time we didn’t really know anything about computers and the world wide web. I nor anyone I knew had access to the world wide web at this point. Technology to us was mostly video games and consoles. My Spanish teacher wouldn’t give up though and finally convinced me and a handful of others to participate. After school, our Spanish teacher introduced us to a few students and faculty from NMSU that would help mentor us. My teacher also explained to our parents that the program would involve us taking a few trips to NMSU from Andress (located in El Paso, Texas) to work with our college mentors at the university’s computer labs. Our activity was for a competition called the New Mexico Supercomputing Challenge. I think we were the only school outside of New Mexico invited to participate. My involvement with the group after school caused a few scheduling conflicts with the Varsity basketball team. I recall asking my coach before a practice if I could be excused to go on one of our trips to NMSU. Already annoyed by my poor performance on the court, he was irritated that this would free me from practice… In a condescending tone he replied, “What are you trying to be an astronaut?” Little did I know, joining the Supercomputing group with our Spanish teacher and New Mexico mentors would be the best decision of my life. By the end of the year, I’d develop the stamina to appreciate the writing & research process and was learning how to use a computer. It was also an opportunity to build with people that were in college and willing to help us understand how to get there. For many of us, including myself, we’d be the first in our families to attend a four year university, so our knowledge of the college experience was about as bleak as our knowledge of computers. Upon graduation I not only received a scholarship to attend NMSU through my participation in the supercomputing challenge, but I was even offered a job by my mentor to intern at the the Los Alamos National Laboratory during the summers. My internship would focus on web design, learning HTML code, and understanding different computer applications. At the time I wasn’t confident about the decision to take the internship since I didn’t even own a computer. I wasn’t sure if I had what it took to contribute and I also didn’t want to disappoint anyone by my moving up there. My mentor convinced me to think about it as a learning opportunity and a chance to be on my own since I’d have to relocate and live in New Mexico independently. Long story short, I decided to go thanks to my parent’s who fully supported my decision to make the move. That summer, I was supplied with this huge book about HTML coding. This began a lifelong passion for teaching using digital technology and utilizing web design to promote the activities we got going on in our lives. 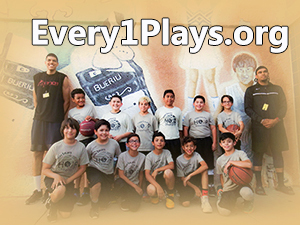 Since then, I’ve applied digital technology to just about every aspect of my educational & professional career, including the work we’re starting as a family with the Every1Plays initiative. I’m excited to learn more about #YesWeCode and the conversations taking place locally regarding digital learning and what opportunities are available, especially for young people. To learn more about the #YesWeCode initiative, I encourage you to visit the website at www.yeswecode.org and also check out the video below. Listening to the conversation Van Jones, founder of #YesWeCode had on YouTube, I’m going to assume that for some young people it may be tough understanding where to begin and why. Especially for those in the digital divide that may not be aware of the benefits digital technology brings to a person’s future goals and creative network. This is especially true for youth in the juvenile justice system and other communities throughout our region that are disconnected from technology due to their location, poverty level, or the disinterest/disassociation from their schools, community, detention centers, homes, etc. Below is a photograph and link to a report that I was featured in with my mentor over 14 years ago. In a lot of ways, this was the #YesWeCode before the millennium era for me and my school.